Recently Turner Classic Movies ran O. Henry’s Full House, an anthology film consisting of five separate stories written by O. Henry. (You probably know his real name was William Sydney Porter and that he lived in the late 19th and early 20th century.) 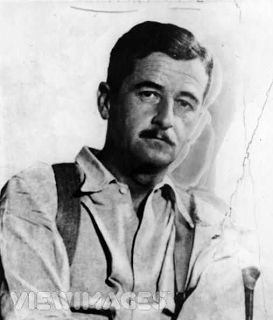 The five different stories were introduced with on-camera appearances by John Steinbeck, the Pulitzer-Prize winning author of The Grapes of Wrath, East of Eden, and Of Mice and Men. You should watch the 1952 film just to get a glimpse of Steinbeck. The movie is an appropriate Christmas offering on the strength of The Gift of the Magi, the classic O. Henry story in which two newlyweds sacrifice to give each other meaningful Christmas gifts. If you’ve never read it, check it out here. 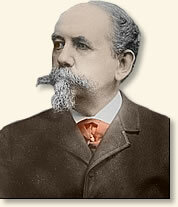 During the movie, Steinbeck talked about O. Henry’s desire to tell stories of common people. O. Henry’s second collection of short stories was called The Four Million, and it was a reaction to an assertion by socialite Ward McAllister that there were only 400 people in New York worth knowing. Check out McAllister’s list here. You’ll see names like Astor, Vanderbilt, and, of course, Ward McAllister. You still hear echoes of McAllister’s idea today in the Forbes 400, Who’s Who and other compilations of America’s high and mighty names. O. Henry’s The Four Million was his way of saying that there are at least 4 million people in America worth getting to know. Their lives and achievements might have been ordinary to many, but O. Henry found them to be inspiring. The different views embedded in The Four Hundred and The Four Million go back even further, of course, and there will always be differences based on money, education, and a variety of other factors. The trick is not to believe that those in other classes and groups are inferior and have nothing to offer. There is both snobbishness and reverse snobbishness at work in our country, and we need to guard against each. The rich and powerful have no monopoly on vice, and the poor and ordinary have none on virtue. We’re all both sinners and saints, and there are examples of cowardice and courage, weakness and strength, and folly and wisdom across all economic strata. That’s exactly why there are more than 400 people in New York worth getting to know, and millions more in America. In a perfect world, we’d be able to knock down some of the barriers between rich and poor and powerful and weak. Now that we’re seeing even greater divides between the haves and the have nots, we should try to do so. We all have a lot to offer one another. We’re in this together, so let’s work together to make things better.